Omega-3 fatty acids are a type of fats present in food. They are known as Essential Fatty Acids as our body is unable to synthesize these acids. As a result, we have to supply omega-3 fatty acids to our body via diet. In the absence of adequate omega-3 fatty acids, we are likely to suffer from various signs and symptoms related to its deficiency. There are three main omega-3 fatty acids – alpha-linolenic acid (ALA), eicosapentaenoic acid (EPA) and docosahexaenoic acid (DHA). Most of you might have heard about DHA through different forms of media. In this post, I shall shine a light upon the benefits associated with a regular intake of omega-3 fatty acids. Evidence suggests that mothers who consumed adequate EPA + DHA during pregnancy had lesser chances of pre-term labor. It reduces the possibility of having premature babies. Prematurity is one of the leading causes of illnesses or infections among newborn babies. Optimal intake of EPA + DHA during pregnancy also improves the weight of a baby at the time of birth. Consumption of EPA + DHA during pregnancy and lactation is also likely to reduce the chances of your baby developing allergies. DHA is present in every cell of the body particularly the brain and retina. During pregnancy, DHA aids in the development of the baby’s brain and retina (vision). During the last trimester of pregnancy (last three months), large amounts of DHA is accumulated in the tissues of the baby’s brain and retina. Research studies have proven that children of mothers who received adequate amounts of DHA during pregnancy had higher cognitive scores and IQ as compared to those whose mothers did not receive. Such children are likely to show higher levels of cognitive skills such as problem-solving, planning, reasoning and so on. Omega-3 fatty acids have anti-inflammatory actions. Inflammation is thought to be the underlying cause of most of the diseases. EPA + DHA help in lowering your blood pressure and maintaining it in the normal range. It also retards the progression of atherosclerosis (the process of deposition of fat in your blood vessels). In the long-term, atherosclerosis can block your arteries leading to heart attacks or stroke (depending on which artery has been blocked). In people who have had a heart attack in the past, an adequate consumption of omega-3 fatty acids prevent future heart attacks. Omega-3 fatty acids are likely to increase the particle size of LDL (bad cholesterol) and reduces the small-dense LDL cholesterol. Small-dense LDL particles are more atherogenic i.e. they are more likely to accelerate the process of atherosclerosis (thickening of the arteries due to deposition of fat) thus increasing the risk of heart attack and stroke. Omega-3 fatty acids may also increase the levels of HDL cholesterol (good cholesterol). An optimal intake of omega-3 fatty acids improves insulin action in people with type 2 diabetes and helps in normalizing blood glucose levels. The effect is more pronounced when people cut the intake of saturated fats and fried foods. Rheumatoid arthritis is an autoimmune disease with chronic inflammation of the joints. Omega-3 fatty acid supplementation helps in relieving symptoms of pain, swelling and discomfort of the joints. Our brain is largely made up of fats. DHA is essential for all the functions of the brain. Research suggests that people with schizophrenia, attention-deficit hyperactivity disorder (ADHD), dyslexia, personality disorder, depression, and bipolar disorder have lower blood DHA levels. In a few studies, omega-3 fatty acid supplementation has helped reduce the hyperactive behavior of children with ADHD and lower the depressive symptoms in people with depression. Individuals with Alzheimer’s disease have higher levels of inflammatory markers. Omega-3 fatty acid supplementation helps in reducing the inflammatory markers and improves the cognitive function including dementia (loss of memory) in people with mild Alzheimer’s disease. Omega-3 fatty acids intake also aids in prevention of dementia and Alzheimer’s disease. In addition to these, omega-3 fatty acids help in reducing the symptoms in several other conditions such as – peptic ulcers, inflammatory bowel disease, osteoarthritis, asthma, bronchitis and pneumonia. Omega-3 fatty acids are present in fish, fish oil, flax seeds, flax-seed oil and walnuts. The plant-based sources contain ALA while fish and other sea foods contain EPA and DHA. As seen above, most of the health benefits associated with omega-3 fatty acids are attributed to DHA and EPA. The human body is able to convert very small amounts of ALA into EPA and DHA. Therefore, fish, other seafood’s, fish oil, cod liver oil being sources of EPA and DHA should be regularly consumed. 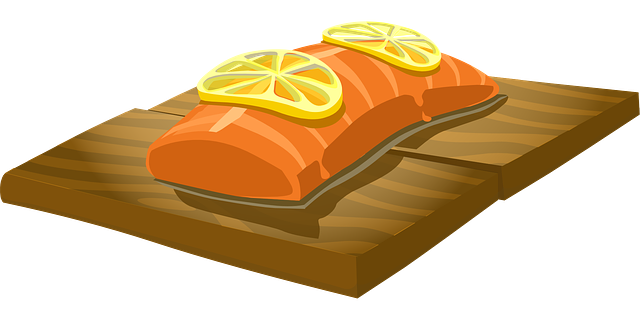 The omega-3 content of fish and other seafood’s would vary depending upon the variety of fish and it’s source. 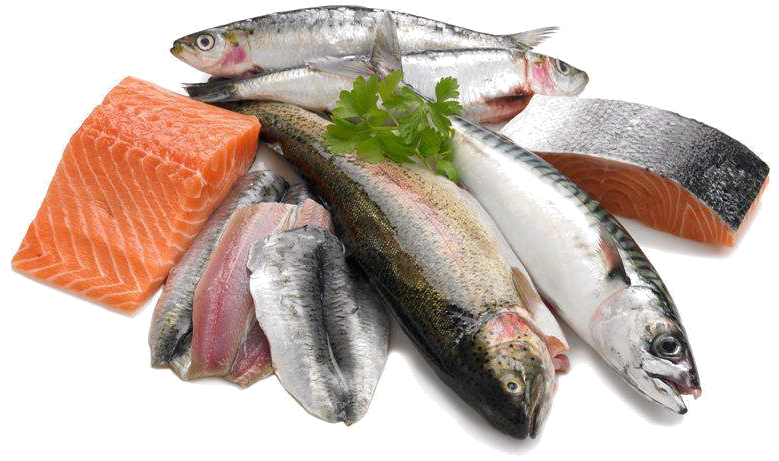 In general, mackerel, salmon, sardine, herring, tuna and lake trout are the ones rich in DHA and EPA. The American Heart Association recommends 2 to 3 servings of fish per week for a healthy heart. 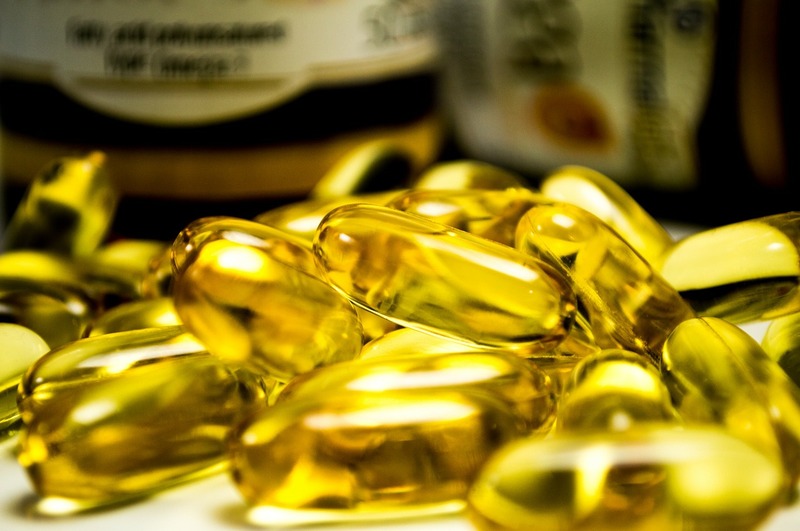 Those of you who do not consume fish, can opt for fish oil or cod liver oil supplements. Omega-3 fatty acid is a boon for our health. Regular consumption of omega-3 fatty acids boosts the immunity, helps fight infections, maintains good health and prevents several non-communicable diseases such as hypertension (high blood pressure), cardiovascular diseases, diabetes and cancer. Regular intake thus reduces the inflammation in the body, delays the aging process and promotes longevity. In other words, omega-3 fatty acid will help you stay young by maintaining your health, keeping you disease-free and delaying the signs of aging such as wrinkles. A daily dose of omega-3 fatty acid in your plate is the way to a healthy life! 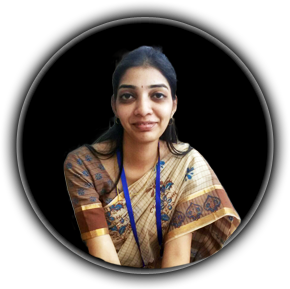 Mitravinda is a Nutritionist at Dietchart with a doctoral degree in Food Science and Nutrition. She is a teacher, researcher and an author. Her passion for the subject prompted her to start writing blogs on various nutrition-related topics. Through her blogs, she wishes to help people gain a deeper understanding about the relationship between food, nutrition, lifestyle and health. 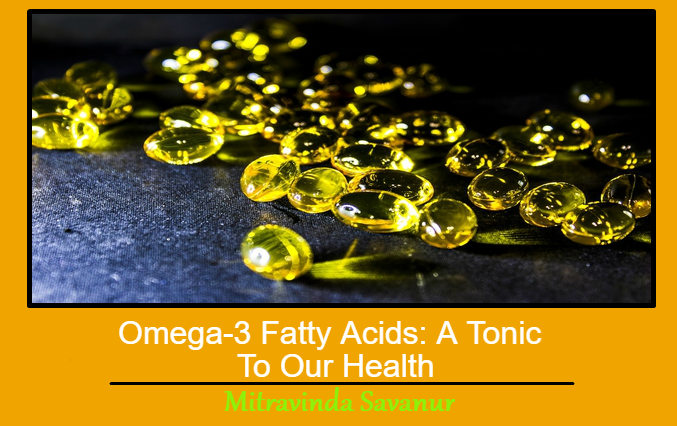 This Concludes: Omega-3 Fatty Acids: A Tonic To Our Health. What Did You Think Of This Post? Please Let Us Know By Rating Below!